When you start a journey, everyone is filled with excitement but imagine, on the second day of the trip, one of your partners falls sick, and the other one gets food poisoning. Although misfortunate, these things are pretty common, and therefore, one should always follow some of these healthy travel tips. Whether you are an avid traveler or not, whenever you are planning a trip to an unfamiliar destination, you need to be careful. When you are traveling, the water and food that you may consume are not the same as the ones you are used to consuming back home. Even your routine changes drastically, you have no idea when you will sleep or when you will eat. Therefore, it is essential to treat your body carefully and let all of this sink in. Here are some healthy travel tips you should keep in mind when you are venturing out into the unknown. You can follow these for a better outdoor experience. The first and the foremost is to drink lots and lots of water because hydration is a must. Always keep a bottle handy with you at all times. This is a practical travel tip, and it will maintain your body temperature within the acceptable range, else you will lose your energy much faster. During summers, you might even faint. If you get tired of drinking water and feel the need to drink something else, you can also carry a bottle of juice with you. Avoid aerated drinks as they may dehydrate you. Drinking water is essential, but the quality of water you are consuming matters equally. Avoid drinking water from random stalls and taps. It is better to refill your bottle from V Resorts before leaving. Drink water from sealed water bottles as they are the most reliable. Similarly, when it comes to food from a place where hygiene is not given priority, eating there is not recommended. Since nobody wants you to fall sick by consuming food from unreliable sources, V Resorts offers you the option to pack some food while you are traveling. Ask one of the staff members to get you a food basket so that you will not have to eat food from street shops. This way you will be eating healthy and hygienic food. 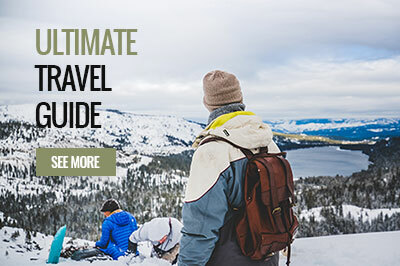 Traveling is quite exciting, but if you are on an adventure trip or where you have to trek for most of the time, you will need to get the right amount of sleep. It is vital for when you need to get up early in the morning and need to walk for quite a distance. Sleeping will help your body and mind rejuvenate so you can travel further. Staying fit is a priority, and when you are traveling, you shouldn’t miss out on the good habits back home. You should continue your exercise regime with travel tips mentioned above. V Resorts is surrounded by greenery for fresh air; the guests can exercise and go for morning walks. Also, there are yoga sessions held in many of our resorts.